The famous Sesame Street characters have come to life! 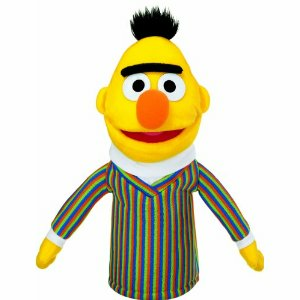 Bert wears his signature striped sweater and white turtle-neck. The attention to detail make him look all the more realistic. Puppets are a great tool to boost kids creative skills. Sesame Street Hand Puppets are surface washable.